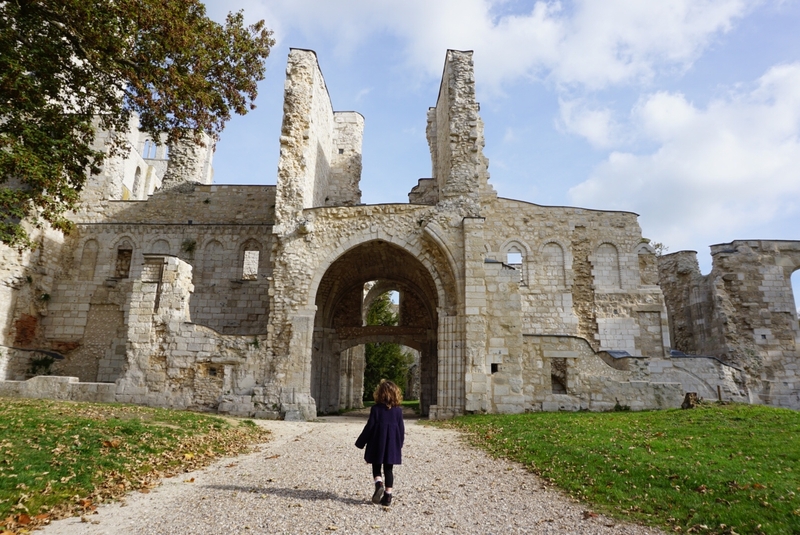 Jumièges Abbey is many things – an incredible survivor, a Romantic muse – and a wondrous place to visit, especially with children. 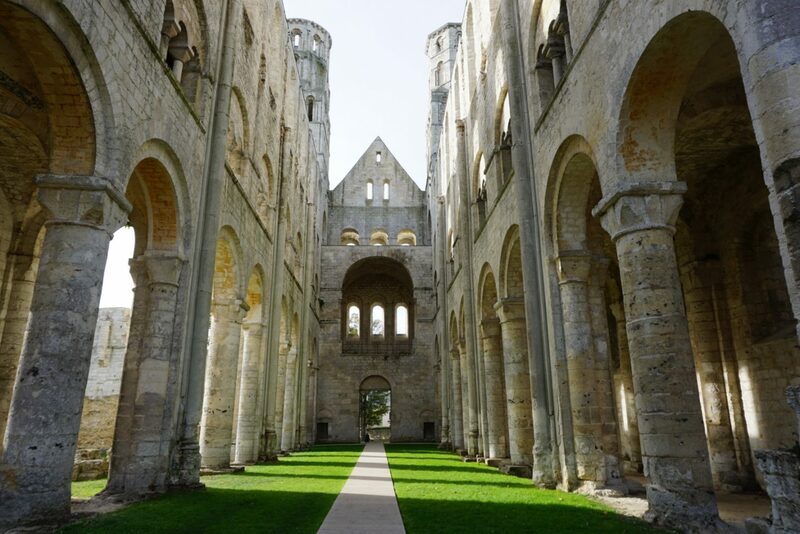 It is one of the oldest Benedictine monasteries in Normandy. Founded in 654, the first buildings were ransacked during the Viking Invasions. The rebuilt Abbey suffered again during the Hundred Years War. With the English occupying Normandy, its monks sought sanctuary in Rouen, leaving the Abbey in turmoil. 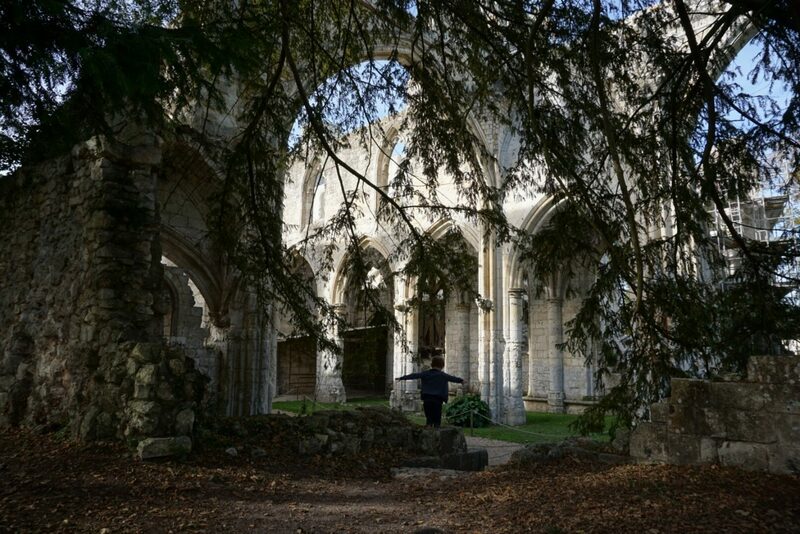 But worse was to come – during the French Revolution, the Abbey was seized by the state. Sold in 1791, it was turned into a private stone quarry. Thankfully the Abbey’s fortunes changed. During the 19th century it became an icon for the Romantic movement, who helped stop the destruction of the site. Writer Victor Hugo described Jumièges Abbey as ‘the most beautiful ruin in France’, whilst JMW Turner was one of the many artists it inspired. 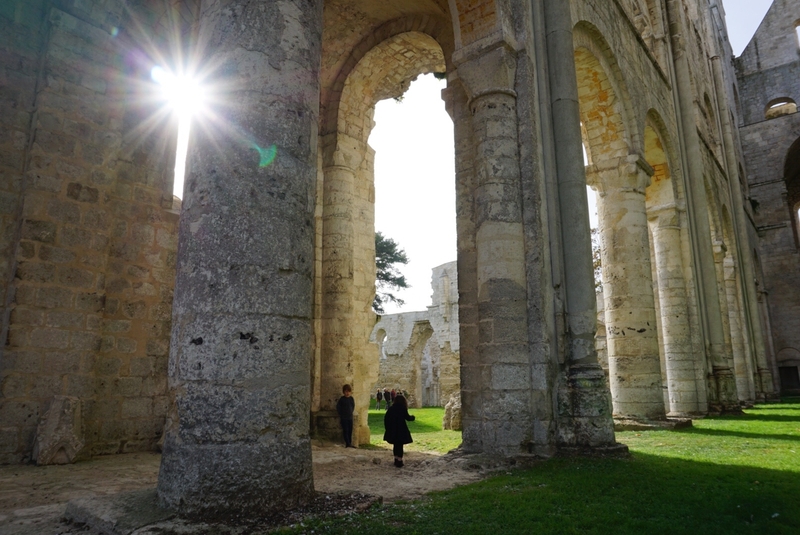 Today Jumièges Abbey is one of Normandy’s major historic sites, welcoming thousands of visitors a year. But somewhat surprisingly, it is little known outside of France. This is a huge shame, as we absolutely loved our visit to these majestic ruins. 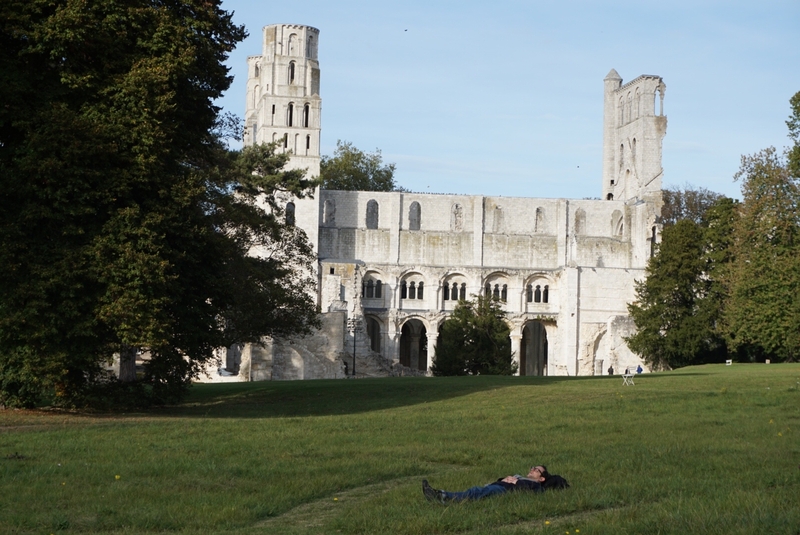 Join me on a tour of Jumièges Abbey – I’ll make sure to point out all the best bits for families. 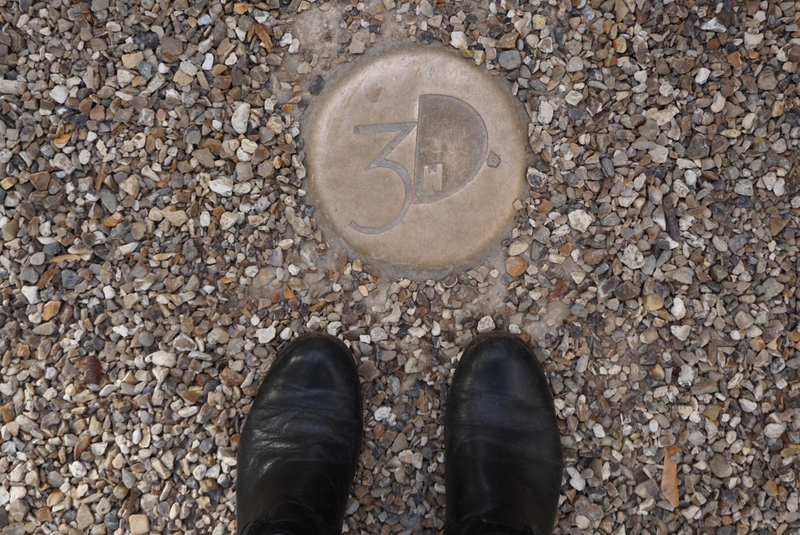 Museum Girl headed straight to the place designed to receive important guests – albeit in the 12th century! It was later converted into a cellar, and an extra floor was added for the monastic library. Here is the entrance to the monastery’s main church, built between 1044 and 1066. William the Conqueror, the first Norman King of England, was present at its opening ceremony. These towers are 46 metres high! I absolutely loved the spectacular 25m high nave of Notre Dame’s Church. Originally it would have had three floors, but now its full height can be admired. 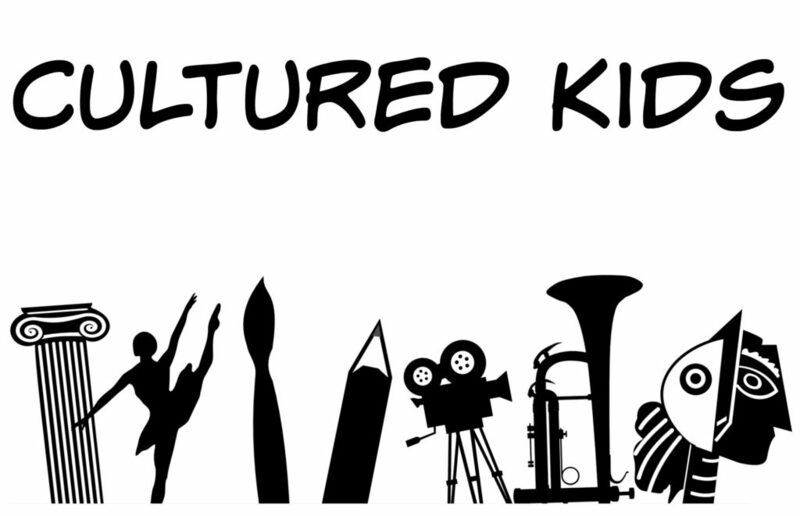 The sheer scale of the space is impressive for children, with ours darting between the giant arches. The afternoon sun cast the most amazing shadows, and propped against the walls at easy child height were numerous original stone carvings. 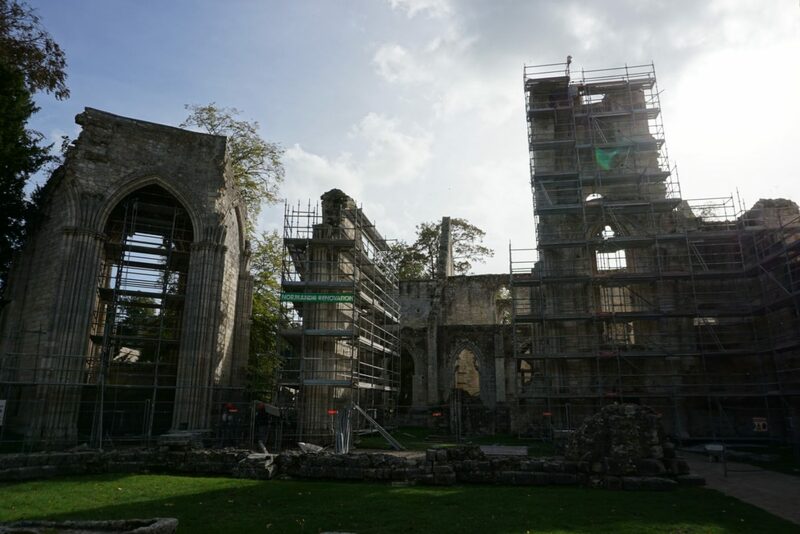 This part was out of bounds and scaffolding covered during out visit due to conservation work. It is a covered walkway which joined the two churches, Notre Dame and St Peter’s. It’s named in honour of King Charles VII who visited the Abbey in 1449, at the end of the Hundred Years War – accompanied by his favourite mistress! Now the cloister is completely destroyed, a tree claiming its centre. But at one time it was an important space for the monks to meditate and mingle. Today it still feels like a contemplative space – I found Museum Boy and Museum Dad resting in the ruins, eagerly discussing some home improvements! Here are some of the oldest parts of the ruins, some dating back to before the Viking invasions in the 9th century. It was a small church which only the monks had access to. 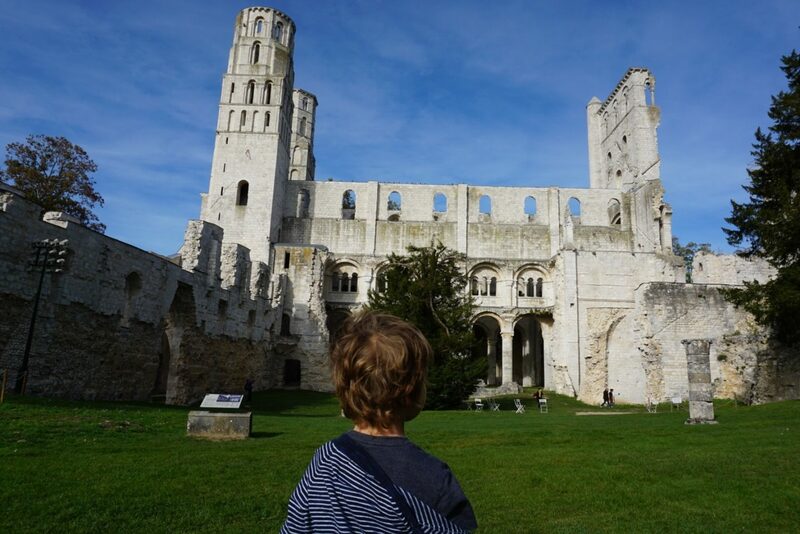 WHAT ELSE CAN WE DO AT JUMIÈGES ABBEY WITH KIDS? 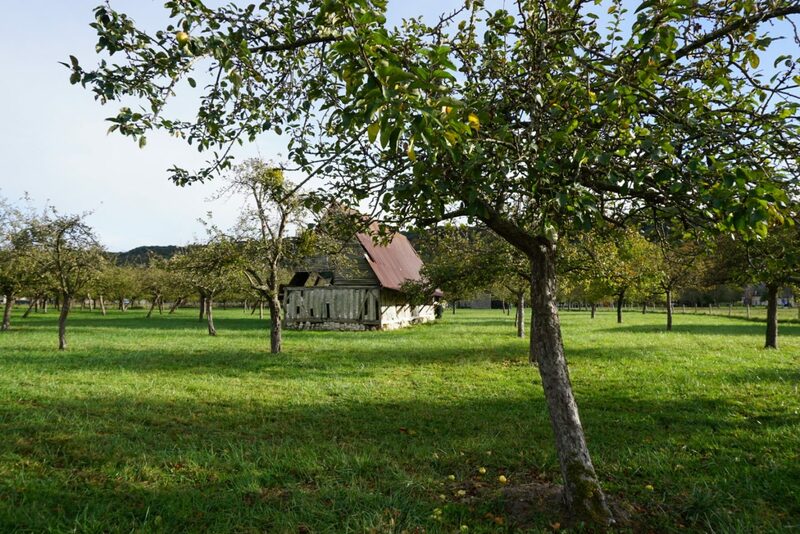 Jumièges Abbey is set in 34.5 acres of grounds, so there’s plenty of space to rest and soak up the views. Whilst Museum Girl picked daisies, Museum Dad enjoyed the peaceful atmosphere so much he fell asleep! This artificial hillock was installed by the monks to evoke the biblical site of Mount Tabor, traditionally thought to be the site of the Transfiguration. In this miraculous event, Jesus conversed with the heavens from a mountain top, and radiated white light. 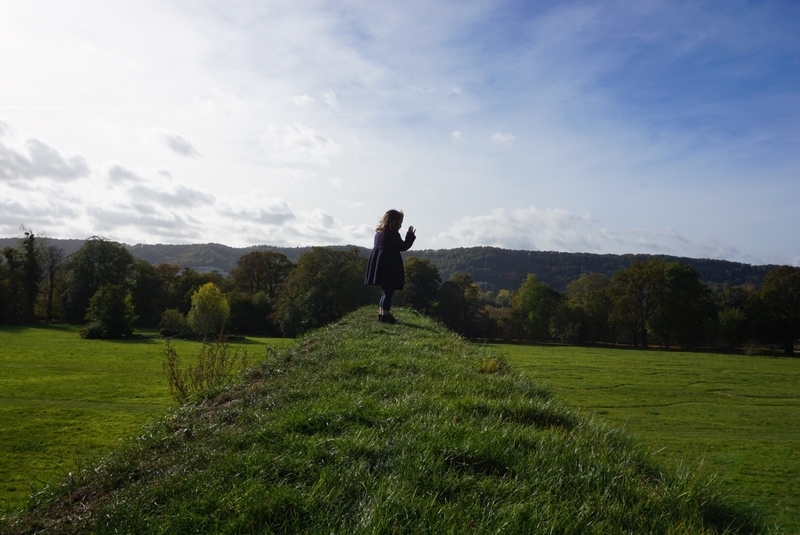 Whilst the biblical reference was lost on my children, they were delighted to have steep grassy slopes to clamber up. The narrow point and sharp drop off made me feel a little vertiginous, but there was something special about being so elevated. 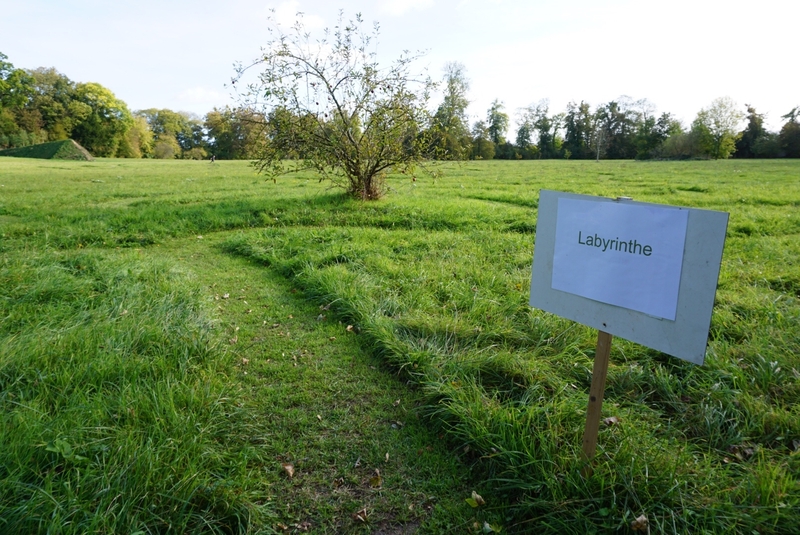 Museum Boy was initially disappointed when we found the labyrinth – instead of the high walls we were expecting, this maze uses nothing but mown grass. But as he explored the paths, dismay turned quickly to delight. It’s expansive and rather difficult, taking a decent quarter of an hour to crack – at running speed! And because it’s so open, there’s no risk of losing your child in its midst. Going by the teenage boys I saw racing to complete it first, it will appeal to older children too. The grounds also house outdoor board games, of chess and checkers. We’ve seen a few of these on our travels, but there was something quite special about battling our bishops with the Abbey ruins in the background. At the back of the site, the 17th century Abbatial Dwellings house a temporary exhibition space. On my visit, stone relics from the Abbey were surrounded by large scale contemporary black and white photographs of European ruins. 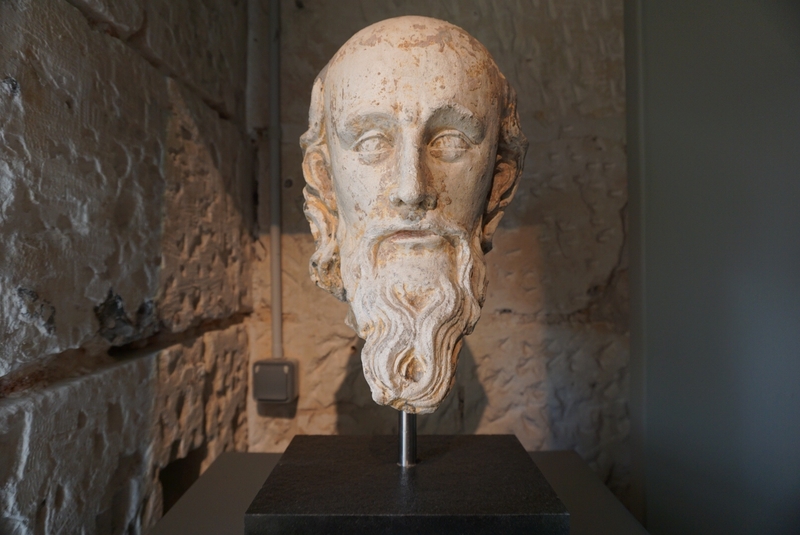 I loved seeing this carving, possibly of St Paul, from 1330. I wonder if it was based on the face of someone the stonemason knew? Take an augmented reality tour. 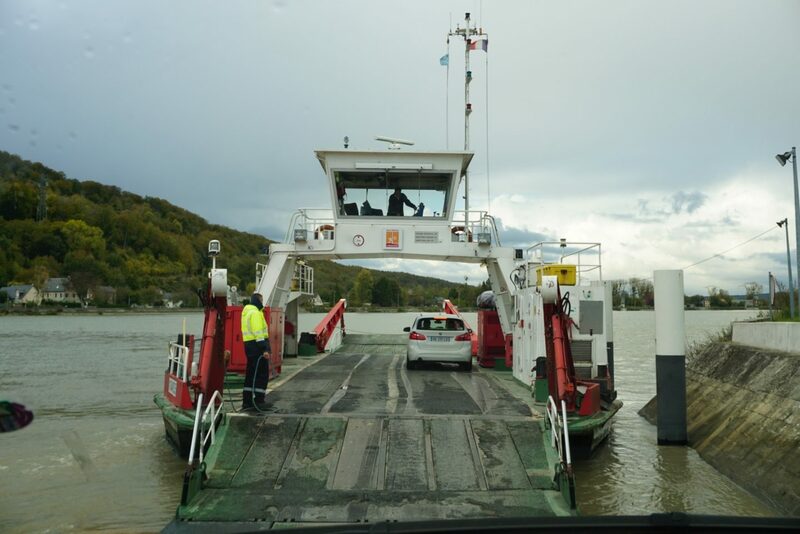 Criss-crossing the Seine are a number of tiny car ferries. For centuries these little ‘bacs’ were the only way of crossing the river, and a small number of these are still in use around Jumièges. A short ride on one of these will delight any transport-mad child. And, with up to 10 crossings an hour, you won’t need to wait long for the next one. Free – just turn up. 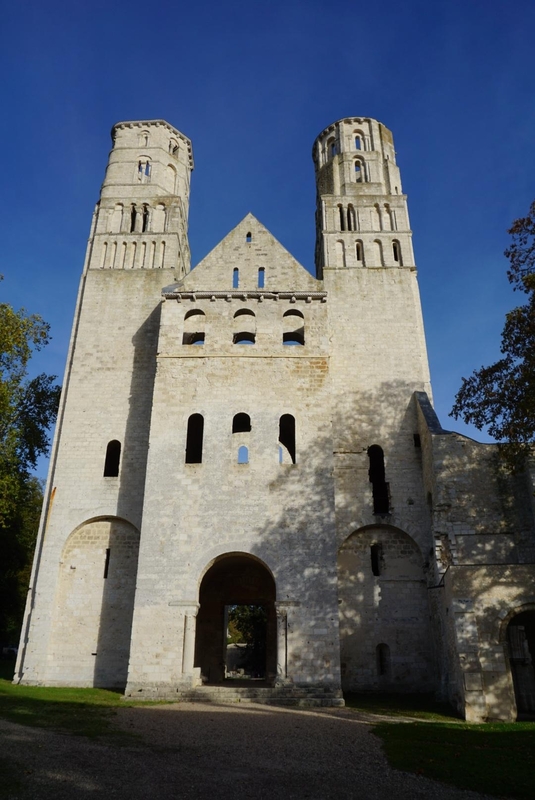 Jumièges Abbey is open daily, except January 1st, May 1st, November 1st and 11th, December 25th. Hours vary according to season. Be warned – in off season the Abbey closes for a 1.5 hour lunch break! 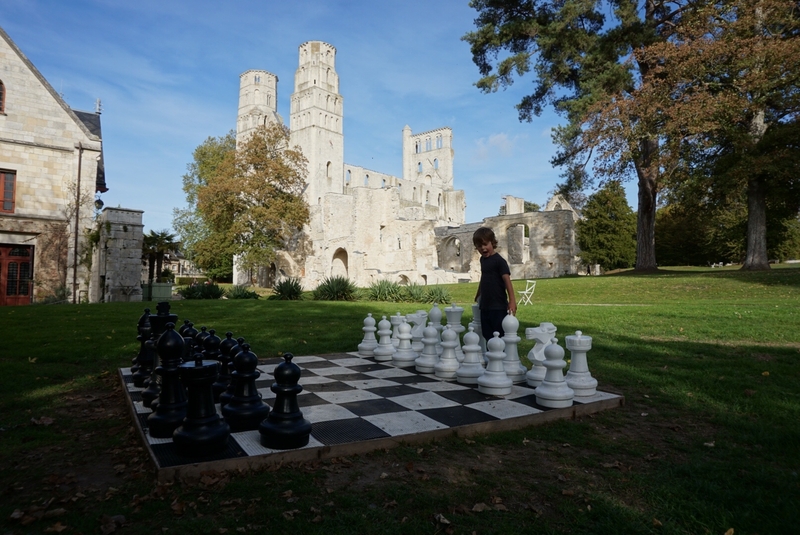 We visited Jumièges Abbey in October half term 2018, with Museum Boy (6) and Museum Girl (4). You would definitely love Jumieges, it really is stunning. The Abbey really has seen a lot over the last 1000 years+. I’m so pleased it’s got a long future ahead of it too. The app sounds really interesting, I hope I can try it myself one day. Well this is a surprise to me – I’ve never heard of it and it sounds fantastic. I love the extra things you can do there including the fruit trail and the stress-free maze!